One of the few benefits of being physically unable to tan is rarely finding it necessary to change my foundation shade… at most, I fluctuate between a NW15/20 and neither look too wrong on me at any given time. If, however, you’re more prone to being ‘kissed’ by the sun, you might be on the lookout for a new foundation to complement your new, less-bronzed (cough *pasty* cough) skintone. Or perhaps you’re just looking for a more moisturising formula to see you through the colder months ahead? 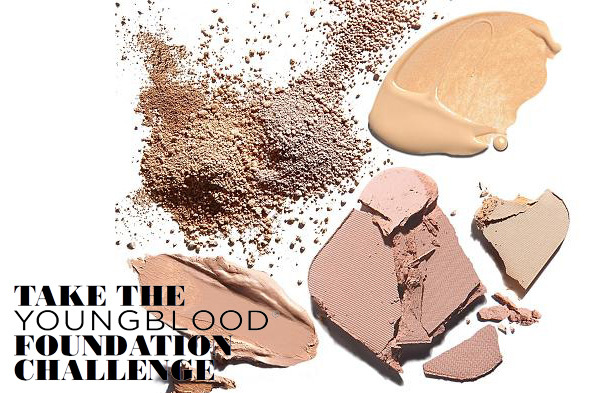 YoungBlood Mineral Cosmetics have launched a customised Foundation Bar in the Beauty Workshop at Selfridges London and are challenging you and your regular foundation to the ultimate test. Simply bring your current foundation (and of course, your lovely self!) along and experience, what they promise, is an unrivalled degree of colour matching from within their range of Loose, Liquid, Moisture Tint, Pressed and Crème formulas. The new Beauty Workshop at Selfridges is an exciting and innovative beauty arena offering over 5000 square feet of space. A veritable beauty playground in which to discover new brands, trends, and products. Instore at Selfridges, London now. Do you change your foundation with the seasons? Sounds like a neat concept! I very much like the idea of this, very sad news that it is only in one location thouhg – but c’est la vie!